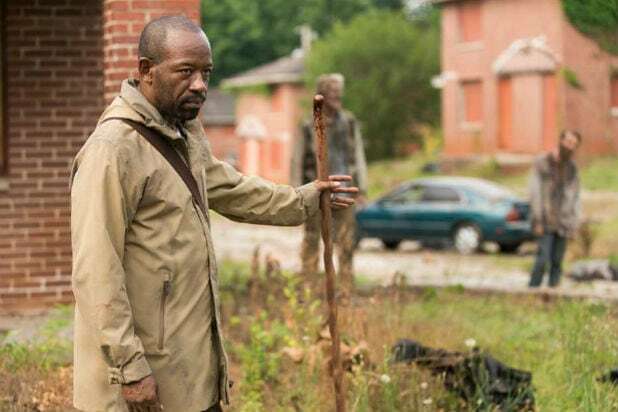 “The Walking Dead” aftershow “Talking Dead” finally revealed which character will show up on the zombie show’s prequel series, “Fear the Walking Dead” — Morgan (Lennie James). That means that James is moving from one show to the other, and suggests that Morgan might not long for the post-apocalyptic world of “The Walking Dead.” But his exit isn’t coming immediately, at least. Also Read: 'Walking Dead' Recap: As the War Nears Its End, Will the Good Guys Stay Good? When we last saw Morgan in Season 8, he’d just had a big throw-down with Jesus over whether to execute the group of Savior prisoners. Morgan finished the fight by heading off into the woods on his own. The former pacifist has been forced to kill again, and it’s clearly broken Morgan. He seems pretty primed for a big, gruesome end. Then again, he could just wander off into the wilderness, never to be heard of again. Moving Morgan to “Fear the Walking Dead” makes a lot of sense for his character, though. 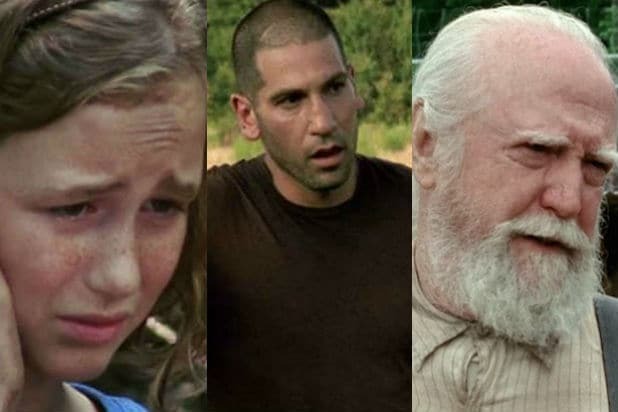 While his story on “The Walking Dead” might be coming to an end, there are plenty of earlier gaps to fill in. Morgan was the first person Rick (Andrew Lincoln) encountered after awakening in the hospital back in Season 1. At the time, Morgan had barricaded his house and was living with his son, Duane, but he’d already lost his wife at that point. On “The Walking Dead,” Morgan eventually lost Duane (Adrian Kali Turner), too, which caused him to become a ruthless, unhinged killer as well as a survivalist. But he was saved from his murderous impulses by Eastman (John Carroll Lynch), whose pacifist ideals rubbed off on Morgan. When he found Rick again in Season 6, Morgan was a changed man, dealing with his trauma by trying to help and redeem others. It hasn’t gone well, though, and the war between Rick and the Saviors has caused Morgan to lose all his previous progress. He’s lost everything, including his ideals. Dialing back to see the toll the zombie apocalypse took on Morgan, and the kind of person he was before he suffered so much, makes sense for his character. Most of what Morgan has gone through has happened off-screen, so there’s a lot to explore there. Until he pops up on the spin-off show, though, the question remains: When will Morgan die, and just how horrific will his end be? ‘Walking Dead’ Recap: As the War Nears Its End, Will the Good Guys Stay Good?